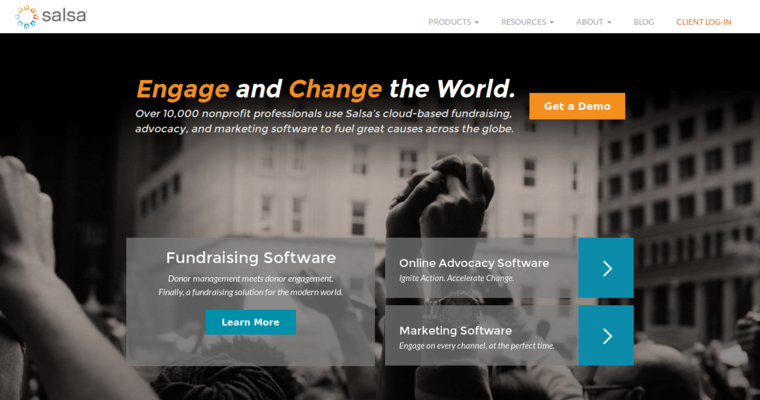 Salsa Labs is the name of a customer relationship software tool that is made for business owners. 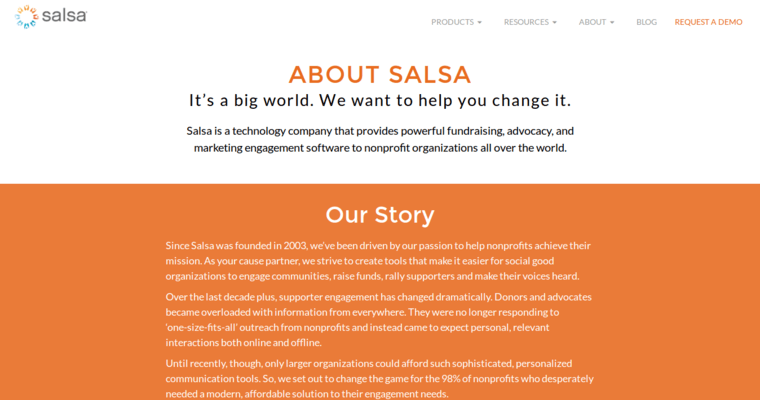 Salsa Labs is a computer software app that lets users make an easier path to obtaining their goals when it comes to sales and conducting business. The app is very easy to use, comes with its own demo and comes in different packages depending on the needs of the user. The app provides business solutions for just about any industry, including but not limited to animals and wildlife, civil rights, education, environmental, health and medical and youth development. A huge boost in staff and sales efficiency is one of the main advantages that come from using this software, since workers can now get more accomplished without having to do extra work. 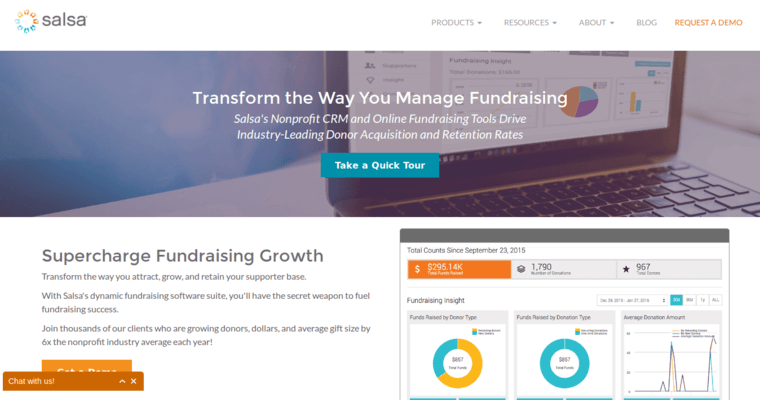 Online fundraising also becomes a lot easier with access to online registrations forms and a dashboard that keeps track of fundraising results.